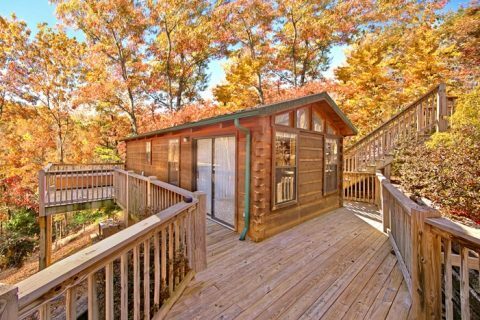 Experience "A Long Kiss Goodnight," a Paradise Ridge cabin near Dollywood. 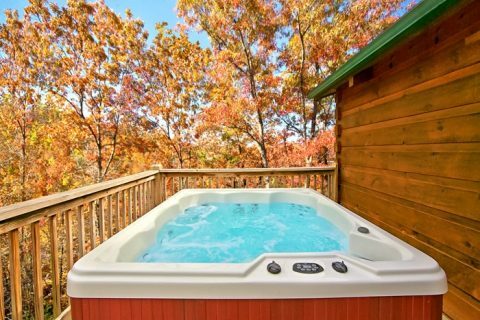 Enjoy this romantic, honeymoon cabin near Gatlinburg for an escape in the Tennessee Smoky Mountains all while staying close to the region's best attractions! 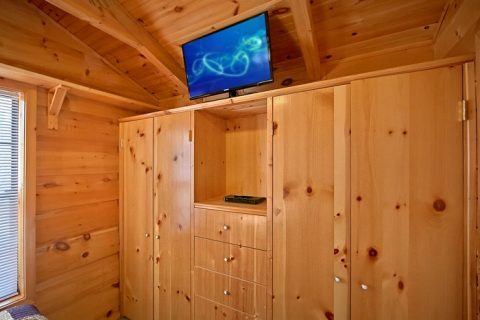 While this cabin's location is convenient to the award-winning Dollywood amusement park, guests also have easy access to Gatlinburg's many attractions, restaurants, and unique gift shops. 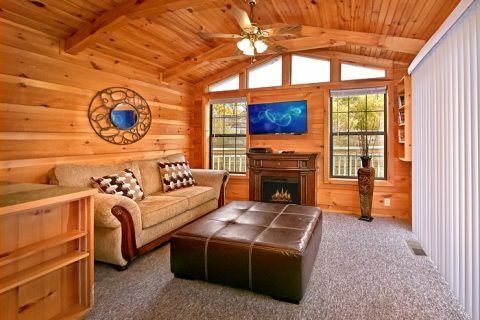 At the same time, guests of this log cabin can also access the Great Smoky Mountains National Park for a drive, hike, or fun trip to historic places. The plentiful attractions and majestic landscape of Tennessee's Smoky Mountains are all within easy reach of your 1-bedroom cabin! 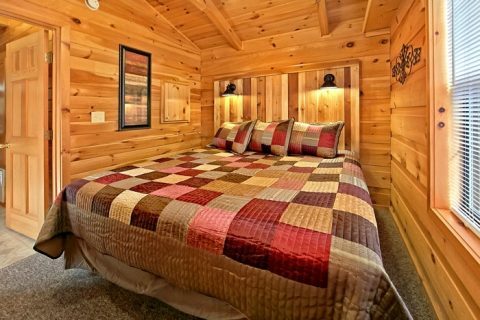 In addition to its proximity to local attractions, this cozy one-bedroom honeymoon cabin near Gatlinburg rests on a pleasant lot in the Smoky Mountains, giving guests the feeling of being far from any everyday worries. 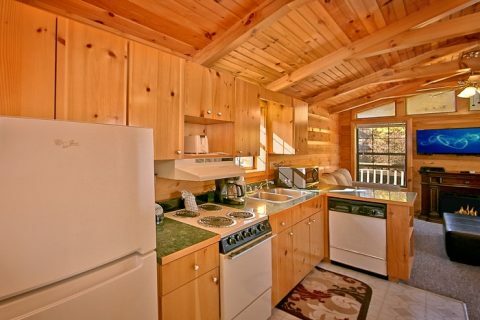 Enjoy days filled with Smokies adventure and evenings in the comfort of your cabin in the woods. Fire up the charcoal grill for a tasty outdoors meal or prepare a romantic dinner for two in the well-equipped kitchen. After dinner, step out onto the deck where the two of you can enjoy relaxing warm water massages in the year-round hot tub. Prefer staying indoors? Cuddle up in front of the living room's fireplace and 40-inch flat screen television for a movie night. 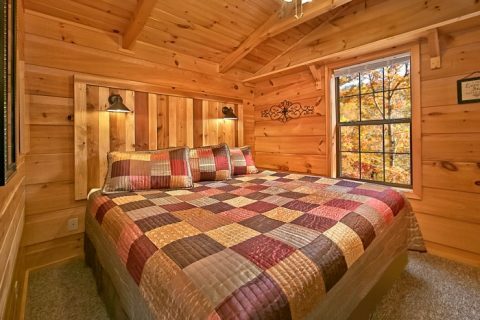 As late night approaches, the two of you can retire king size bed while watching television until you're fast asleep from another adventurous day in the beautiful Smoky Mountains. Plan your romantic mountain escape today and book this charming honeymoon cabin near Gatlinburg! 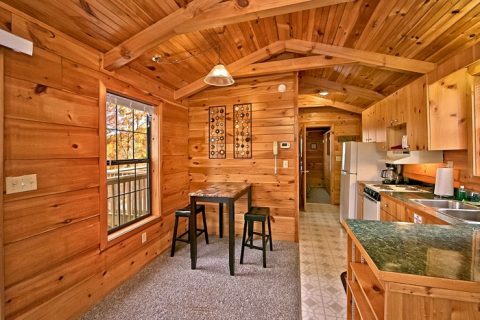 Don't forget when you book your Paradise Ridge cabin near Dollywood online with Cabins USA Gatlinburg you get an immediate discount on your lodging!